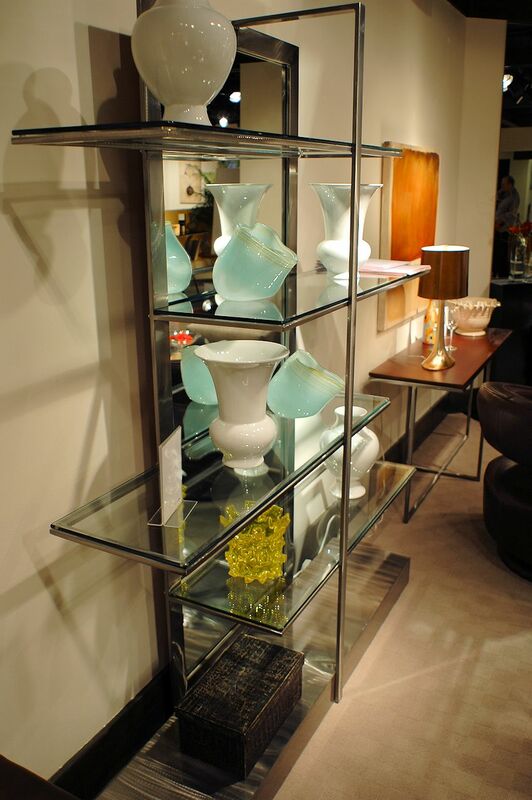 The JC #1568C Etagere is a beautiful addition to any room. Shown in Pewter finish frame & Bronze finish back insert. Custom made in your choice of metal finish. Made of solid steel in the USA. 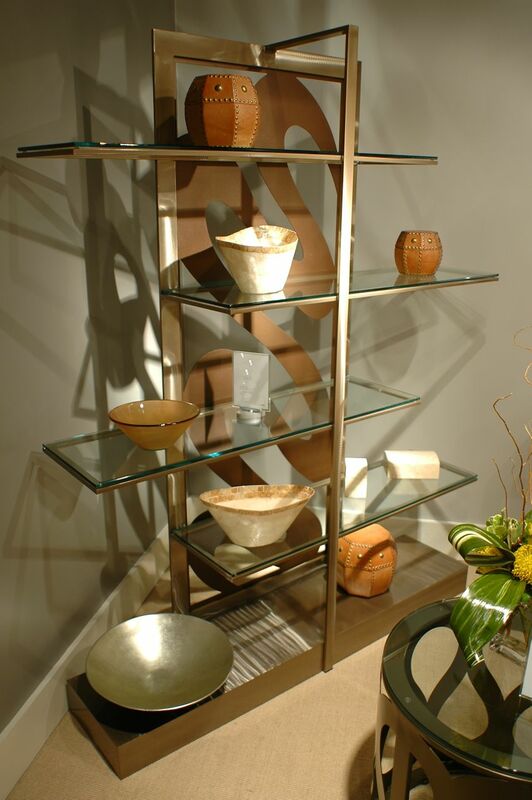 Etagere is shown in Pewter finish & Mirror back panel. Custom made in the USA in any color samples. 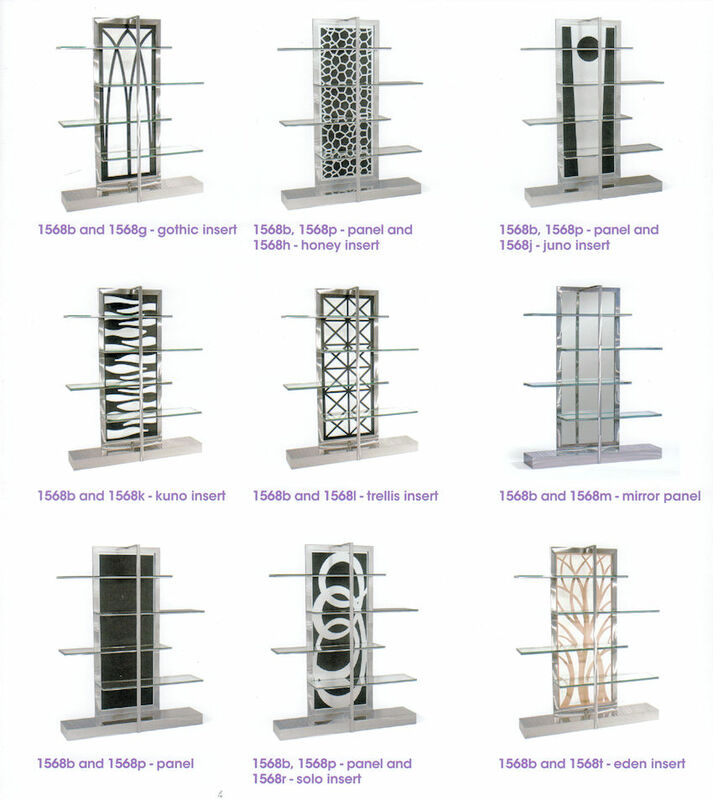 Custom made in the USA in any finish and different designs for the back panel.